There are many recognized benefits of breastfeeding. However, there is still much debate over whether or not breastfeeding gives children a cognitive advantage. Cognitive ability refers to mental processes such as thinking, remembering, and making decisions. It also includes creativity, imagination, and behavior. The healthy development of the brain and cognitive skills allows children to learn and understand. Many experts believe that breastfeeding can contribute to the intelligence, memory, judgment, and problem-solving ability of a child as he grows, but does it? Will your baby really be smarter if you breastfeed? A study published in Pediatrics in March 2017 reports that there are no long-term cognitive benefits of breastfeeding. The study followed almost 7500 full-term babies until the age of five. 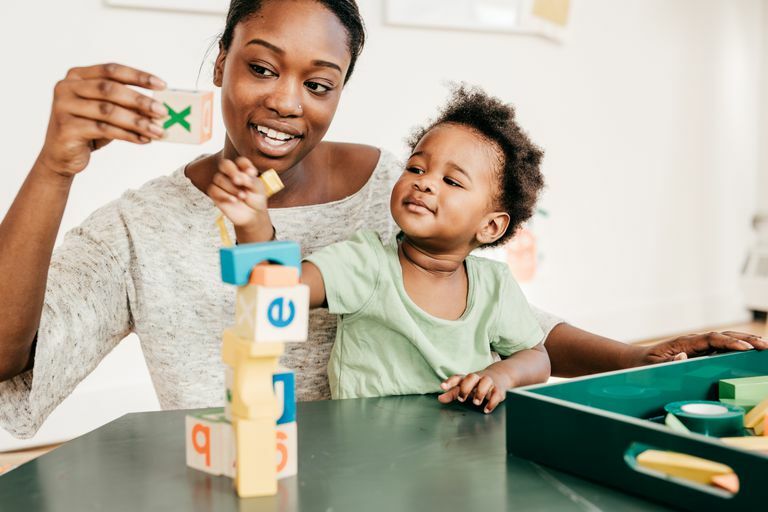 Researchers evaluated the children on their ability with language (vocabulary), problem-solving skills, and behavior at 9 months, 3 years, and 5 years. Parents and teachers participated in the evaluation by filling out questionnaires to determine the cognitive abilities of the children. The study did show some positive short-term cognitive effects of breastfeeding, but no long-term advantages. It states that the children who were breastfed for at least 6 months had better problem-solving skills and were not as hyperactive at 3 years old. However, by the time the children were 5, the noticeable differences between the breastfed and non-breastfed children became too small to be meaningful. One study followed 3500 children through adolescence and into adulthood. When assessed at age 30, those whose primary source of nutrition as children came from breastfeeding performed better on intelligence tests. They also had higher educations and greater incomes. Another very large study followed almost 14,000 healthy breastfed babies until they were 6.5 years old. The children's intelligence and academic status was evaluated by doctors and teachers. The results show that the link between exclusive, long-term breastfeeding and the cognitive development of children is strong. Well, it's difficult to determine if it's the breast milk or other factors that are contributing to the increase in cognitive scores in breastfed children. Some researchers suggest that it only appears that breastfeeding is responsible for the increase in intelligence and problem-solving skills, but that's not the case. Instead, the reason breastfed children do better is because they are more likely to grow up in an environment that supports cognitive development. Others point out that breast milk contains the essential fatty acids docosahexaenoic acid (DHA) and arachidonic acid (ARA or AA). Since DHA and ARA promote the development of the brain and nervous system, they believe that when a child receives breast milk, it helps to increase cognitive abilities. Formula companies are aware of this, as well. They now add essential fatty acids to their infant formula to support brain and eye development. Of course, scientists don't yet know if the addition of essential fatty acids in the formula has that same effect on the brain as the natural essential fatty acids found in breast milk. Another area of debate is the duration of breastfeeding. In certain studies, any amount of breast milk given to a child is counted as breastfeeding. So, some experts say that if the children in the studies aren't breastfed exclusively or for an extended length of time, then the study doesn't represent the actual effect of breastfeeding. The belief is that breastfeeding has a cumulative effect. So, the more and longer a child breastfeeds, the more significant the results will be. They call for more studies that follow children who are breastfed for over six months, a year, or longer. What Else Impacts Cognitive Outcome? A positive cognitive outcome begins in pregnancy. When a mother gets good prenatal care and doesn't smoke or engage in other risky behaviors, she's helping her child get off to a good start. During infancy and childhood, the relationship between parents and their children can make a difference. Parenting choices can encourage or discourage cognitive learning. For example, reading a book to a child each night can help develop a child's reading, writing, and language skills. Engaging in active play, listening to music, encouraging creativity, and letting a child explore and get dirty are all ways to open a child's mind. On the other hand, spending too much time in front of the television can limit cognitive learning. On top of that, a child's intelligence and academic success is related to his genetics as well as his parent's IQ, educational level, and income. Yes, breastfeeding still has its advantages. Even if there's an ongoing debate about whether or not breastfeeding provides cognitive benefits, there is no doubt about some of the other positives that go along with breastfeeding. For instance, breast milk contains antibodies, enzymes, and white blood cells that boost the immune system and help protect a baby against infections. It also helps prevent infant diarrhea and other newborn illnesses. Breastfeeding can lower the chances of SIDS and studies show that it decreases childhood obesity. It can also reduce the risk of breast and ovarian cancer for mothers. The studies mentioned above are specific to healthy full-term infants. They don't represent preemies. Research indicates that for premature infants, breast milk can make a big difference in the development and maturation of the brain and central nervous system. When compared to preemies who received formula, preemies who received breast milk showed an increase in cognitive and motor developments at 18 months and 30 months. Preemies fed breast milk also performed better on intelligence tests at age 7 and a half and 8 years old. Additionally, breast milk is shown to support a premature infant's visual acuity (the clarity and sharpness of vision). And, it's associated with a lower occurrence and severity of retinopathy of prematurity (ROP). All it means is that the long-term effects of breastfeeding on the cognitive development of healthy full-term children continue to be a matter of debate. More studies are needed, and research is sure to go on. In the meantime, if you wish to breastfeed, there are many reasons to do so. And, if you choose to use infant formula instead, you can feel confident that it's not going to cause a negative impact on your child's long-term intelligence and problem-solving abilities. Studies provide us with important information. But, when studies have different results, it can get a little confusing. Who should you believe, and how should it affect your decisions? Overall, health organizations around the world such as the American Academy of Pediatrics (AAP) and the World Health Organization (WHO) still recommend breastfeeding. However, how you feed your child is a personal decision, and breastfeeding isn't for everyone. Talk to your partner, your doctor, and your baby's doctor, and do what's best for you, your family, and your child. Just remember, whether you choose breast milk or infant formula, as long as you're providing a healthy form of nutrition and a safe, loving environment, you're doing a great job giving your child what he needs to grow and develop physically, emotionally, behaviorally, and cognitively. Girard LC, Doyle O, Tremblay RE. Breastfeeding, Cognitive and Noncognitive Development in Early Childhood: A Population Study. Pediatrics. 2017 Mar 27:e20161848. Horta BL, Victora CG. Long-Term Effects of Breastfeeding - a Systematic Review. 2013. Kramer MS, Aboud F, Mironova E, Vanilovich I, Platt RW, Matush L, Igumnov S, Fombonne E, Bogdanovich N, Ducruet T, Collet JP. Breastfeeding and Child Cognitive Development: New Evidence From a Large Randomized Trial. Archives of General Psychiatry. 2008 May 1;65(5):578-84. Victora CG, Bahl R, Barros AJ, França GV, Horton S, Krasevec J, Murch S, Sankar MJ, Walker N, Rollins NC, Group TL. Breastfeeding in the 21st Century: Epidemiology, Mechanisms, and Lifelong Effect. The Lancet. 2016 Feb 5;387(10017):475-90. Victora CG, Horta BL, de Mola CL, Quevedo L, Pinheiro RT, Gigante DP, Gonçalves H, Barros FC. Association Between Breastfeeding and Intelligence, Educational Attainment, and Income at 30 Years of Age: A Prospective Birth Cohort Study From Brazil. The Lancet Global Health. 2015 Apr 30;3(4):e199-205.